Can Magufuli Control His State Apparatuses? What I heard through the video clip of the speech and read on social media comes out more strongly. It is forceful. The President of Tanzania did not mince any words. As clear as crystal are the parameters that he has ‘set’ for the opposition parties to operate. Of course, as ‘usual’, he was talking ‘off the top of his head’. Hence such charged statements are prone to multiple interpretations and misinterpretations. Yet one can hardly doubt that he literarily made himself a prey to constitutional lawyers who would be quick to argue he has breached the very Constitution he is sworn to uphold. Rhetorically, the lawyer of CHADEMA, Tundu Lissu, who is on the record accusing Magufuli for being a ‘petty dictator’, queries if his political statements are indeed coming from the ones who have been advocating for national unity? Tellingly, he also argues that the strength of the President’s argument does not stem from lucidity but from the power of the instruments of the state that he controls. This brings us to Louis Althusser who, lucidly, attempted to make sense of how such powerful instruments operate. He aptly noted that the Repressive State Apparatuses (RSA), such as the police and the court let alone the army and the prison, functions by violence in a contrast to Ideological State Apparatuses (ISA), like educational institutions and political parties, that function by ideology. 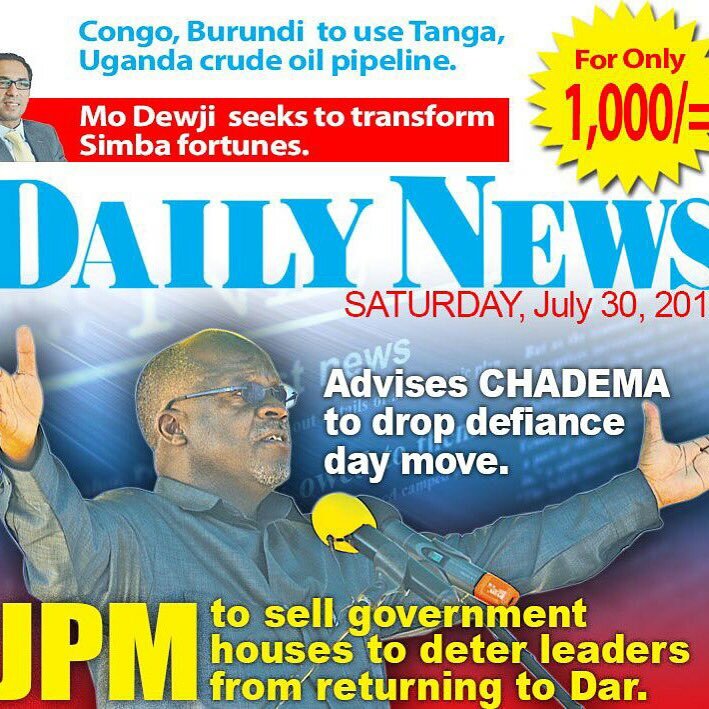 So, what does this have to do with President Magufuli? It simply tells us when you are as popular as him, your best ally in retaining the people on your side is to primarily focus on ideology. This mean your ally in pushing for your agenda for transformation is, relatively, an ideological state apparatus such as the party he is now chairing and the schools and universities his government owns. Any attempt to rely to much on repression through the repressive state apparatuses will not only alienate him from the leading opposition party but, ultimately, from the very people who are still enjoying the honeymoon of the new presidency. After all, when you are on record stating that the the opposition parties are in a state of lethargy, why expend so much energy to control their movement? Sabatho Nyamsenda’s scenario is analogical if historical: “The rise of Magufuli may be likened to that of Louis–Napoleon Bonaparte, who ruled France between 1848 and 1870.” Its deeper irony is that Mwalimu Nyerere whose presidency is now popularly likened to that of Magufuli once said we do not need an African Napoleon. For us, the bumpy road to dictatorial hell can be paved with good developmental intentions hence a call to democratize development.